LS swaps are a dime a dozen, but one thing that we don’t see often is a big old GM V-8 engine in a Mercedes-Benz. 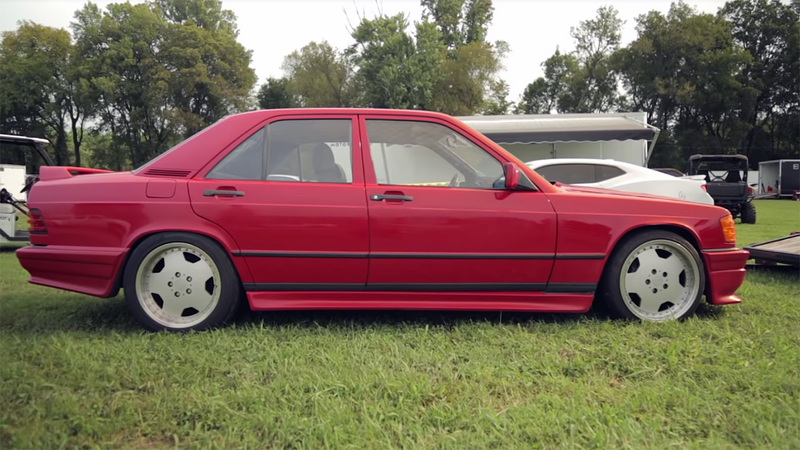 That's why this Tennessean's project caught our eye, featuring a grey market 1984 Mercedes-Benz W201 imported to the U.S. in the early 1990s and a turbocharged LS V-8 capable of more than 500 horsepower. This Benz is a 190 E model, meaning it was originally powered by a 2.0-liter inline-four engine that made 119 hp and 129 pound-feet of torque. The W201 was MB’s first modern shot at a compact luxury car to compete with the BMW 3 Series and was the predecessor to the much more successful W202, the first C-Class. The new heart of this Benz is a 5.3-liter L33 LS V-8, a construct that originally saw duty in the Chevy Silverado and GMC Sierra from 2005-2007—specifically, the 4WD extended cab models. 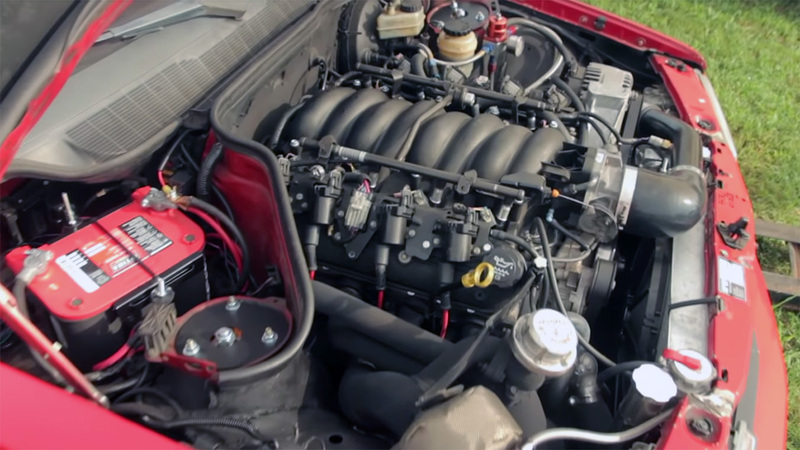 As a Vortec 5300 engine it's a pretty close relative to the LS4 V-8 that powered the SS models of the Chevy Impala and Monte Carlo in the late 2000s. In stock form, an L33 makes 310 hp and 335 lb-ft of torque. This LS with its 70mm turbo can make “a little over 500” horsepower on 18 pounds of boost according to the owner. The car is pretty stock aesthetically save a period-correct body kit from the 1980s. Inside and out, there aren’t really any giveaways of what’s under the hood, making it a bona fide sleeper—especially considering the 190E is no muscle car in its own right. In the video below, you can see Nichols talk about his creation at Holley LS Fest. There will be burnouts, plus a shot at the quarter-mile. 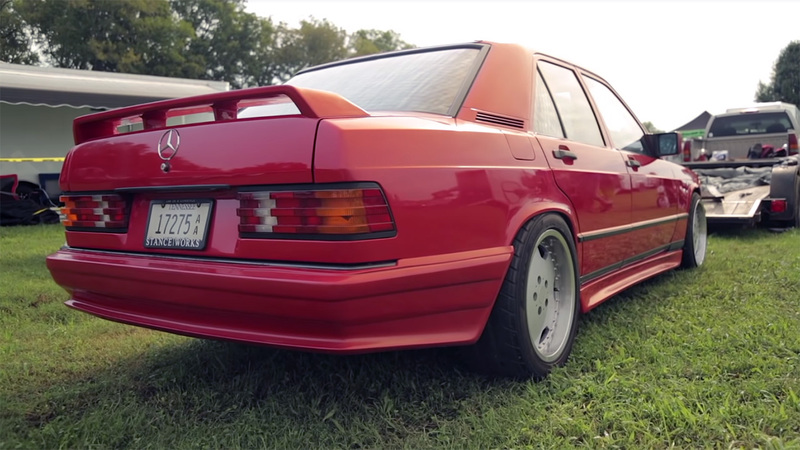 The so-called Frankenstein Benz is our kind of monster. It’s nearly sold. Rich persons, act now to own a piece of German race history.